1987 ABC Miniseries "Amerika", talk about a blast from the past, this was mentioned recently and I thought, "oh, yes, I remember it vaguely.". It's almost timely now. (See link to wikipedia article after video). Amerika is an American television miniseries that was broadcast in 1987 on ABC. 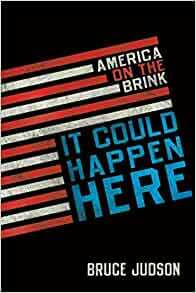 The miniseries inspired a novelization entitled Amerika: The Triumph of the American Spirit. Amerika starred Kris Kristofferson, Mariel Hemingway, Sam Neill, Robert Urich, and a 17-year-old Lara Flynn Boyle in her first major role. Amerika was about life in the United States after a bloodless takeover engineered by the Soviet Union. Not wanting to depict the actual takeover, ABC Entertainment president Brandon Stoddard set the miniseries ten years after the event, focusing on the demoralized U.S. people a decade after the Soviet conquest. The intent, he later explained, was to explore the U.S. spirit under such conditions, not to portray the conflict of the Soviet coup. That editorial too, the other day about America as it was, calls to mind some of this too. Of course, we will likely not fall to a Russian coup per se; it's noteworthy nonetheless. And of course, that movie "Red Skies" could be remembered as well. So, in due time, I'm going to try to watch this. Most of the "made for TV" movies and miniseries from back in the day, seem to be on youtube. Re: 1987 ABC Miniseries "Amerika"
Do you mean Red Dawn? Yes, Red Dawn. My mistake.